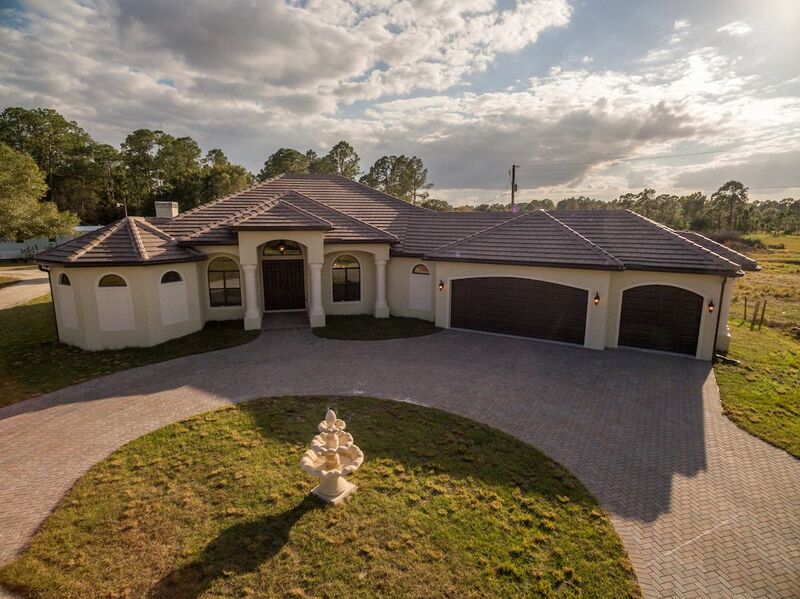 Custom Michaela plan with Estate size garage. 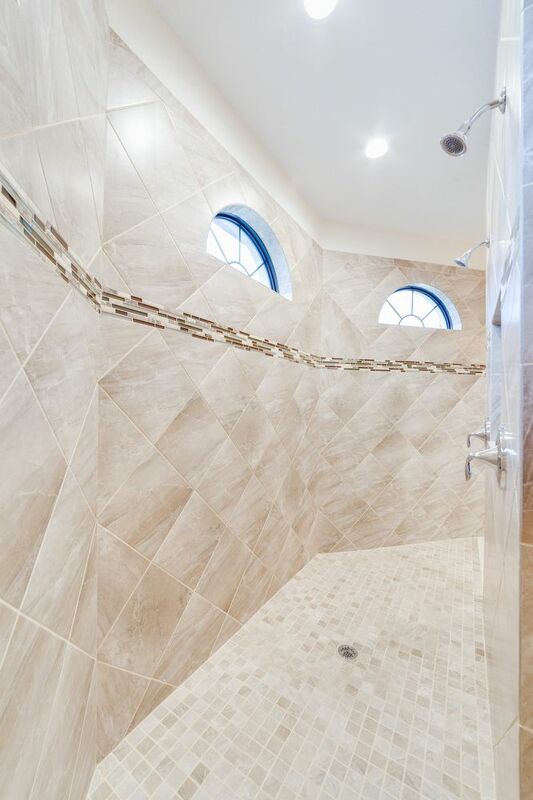 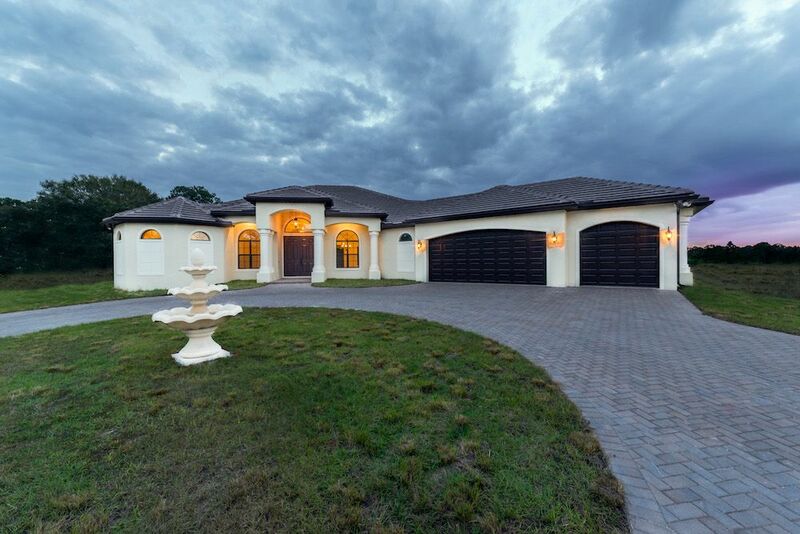 This is a featured home that was created through our Design-build process. 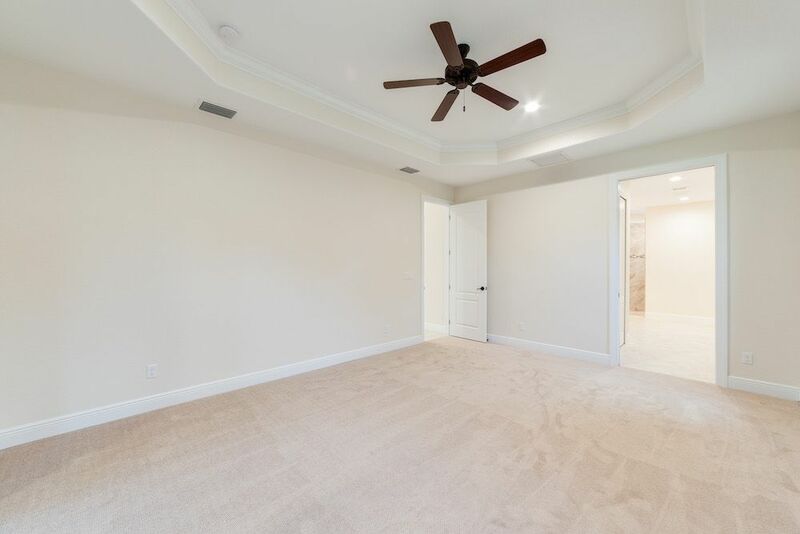 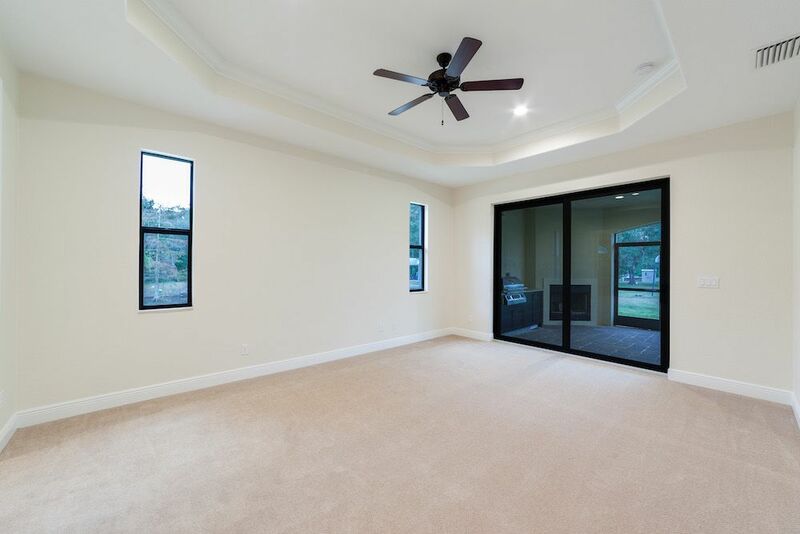 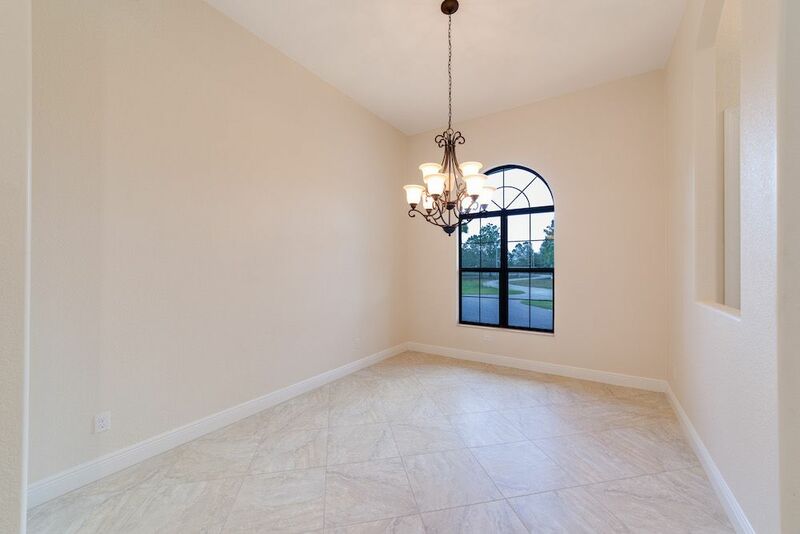 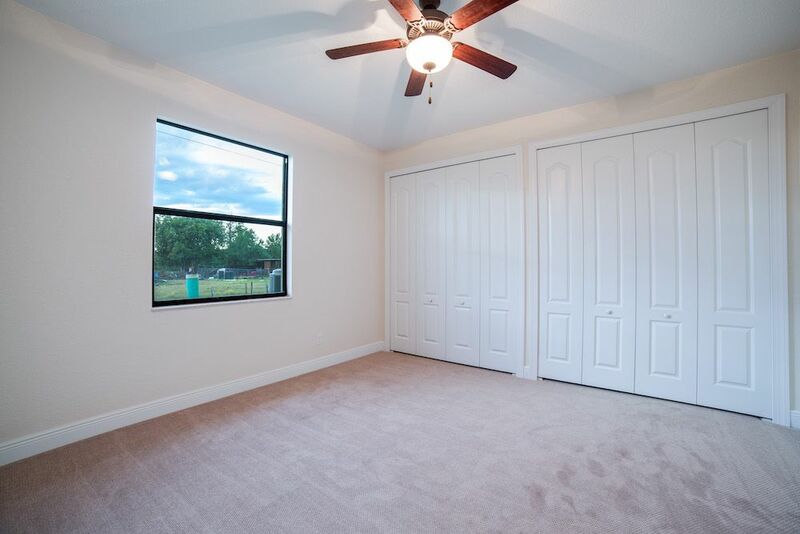 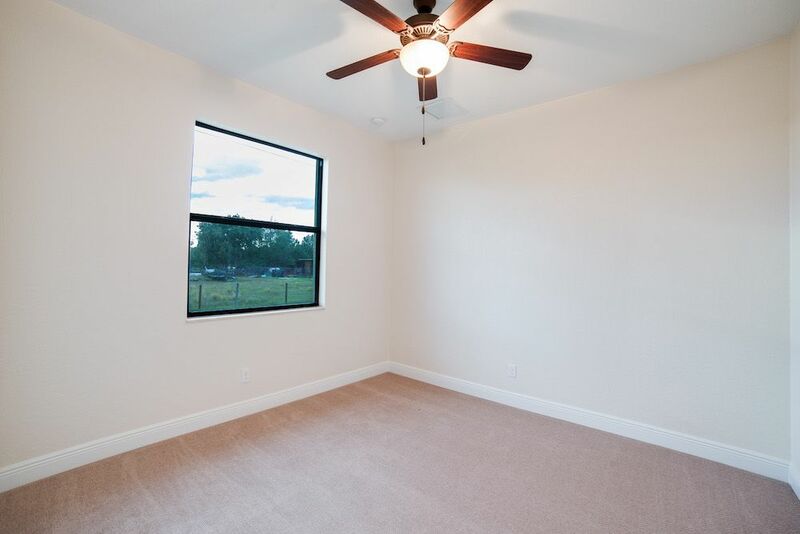 This home features 3 bedrooms + a den! 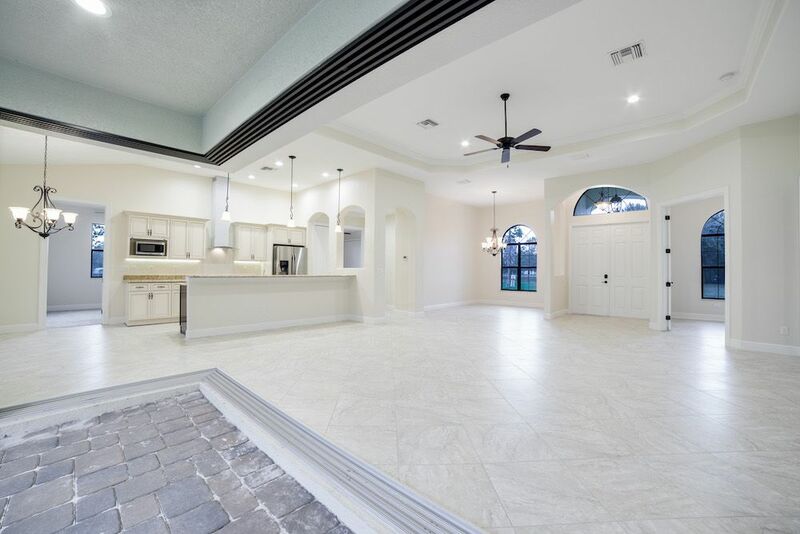 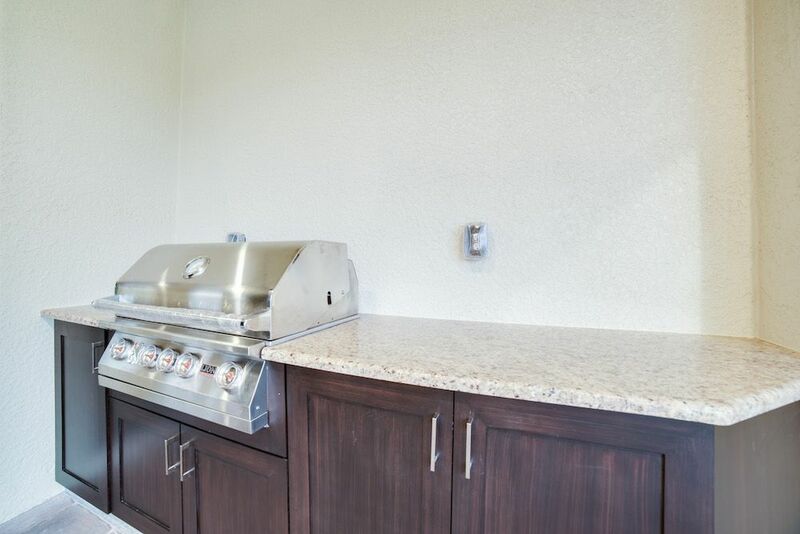 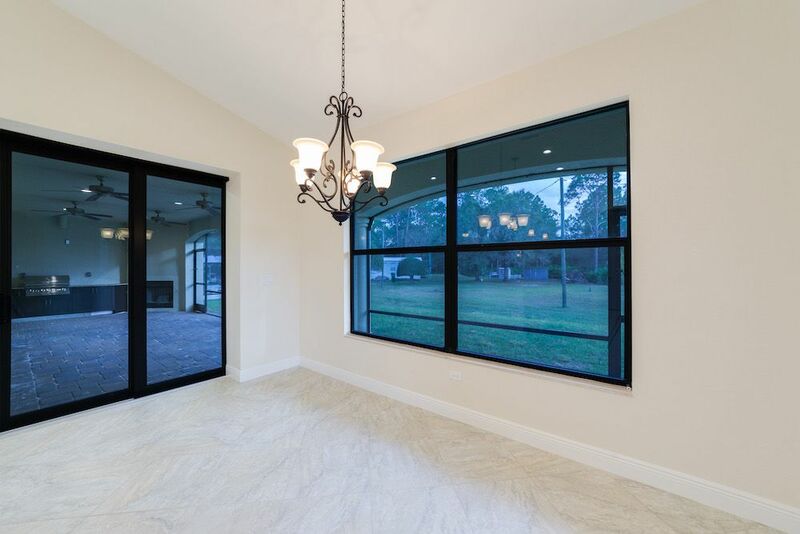 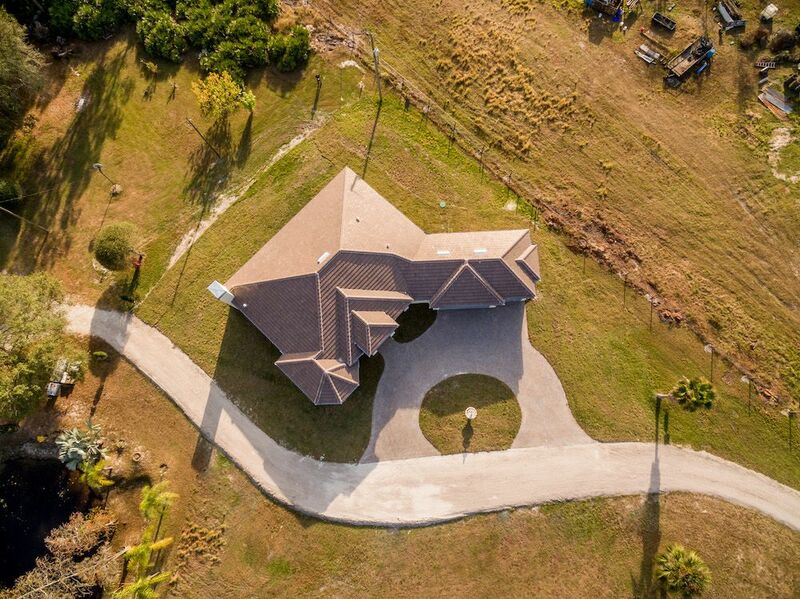 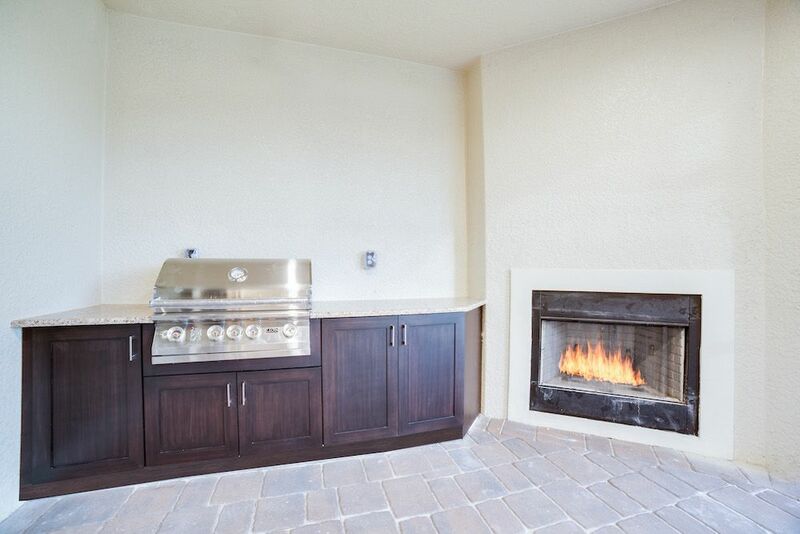 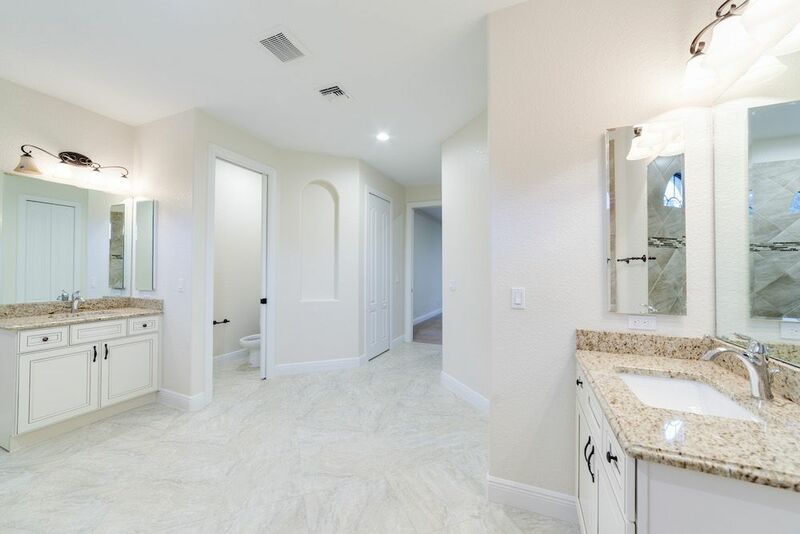 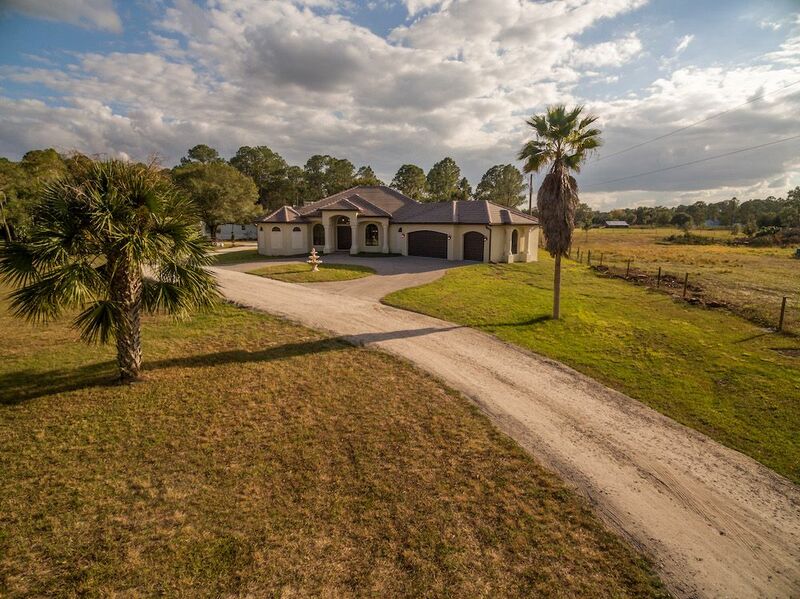 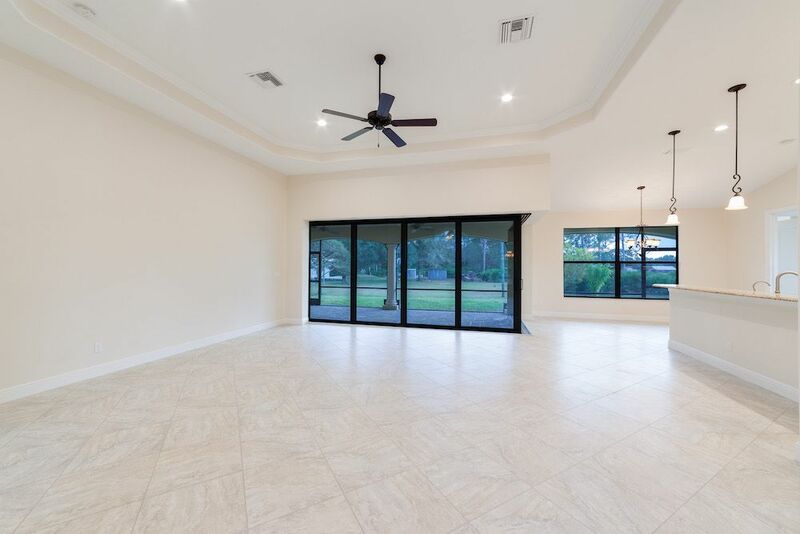 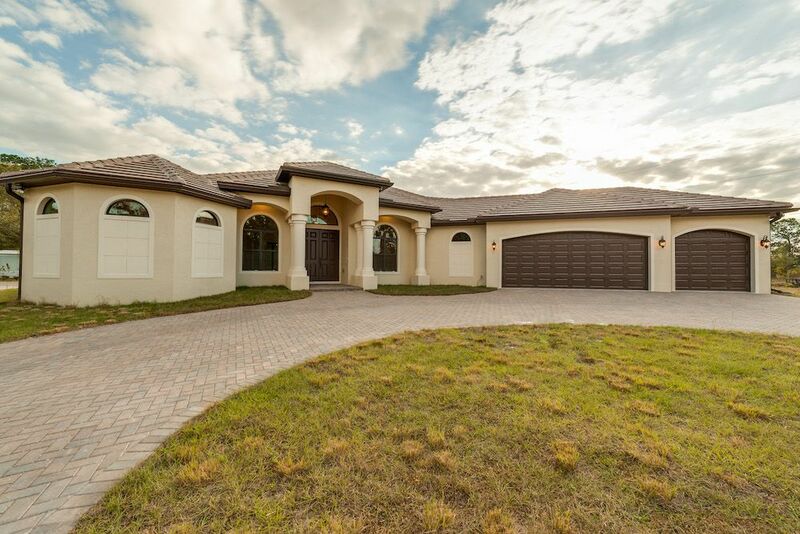 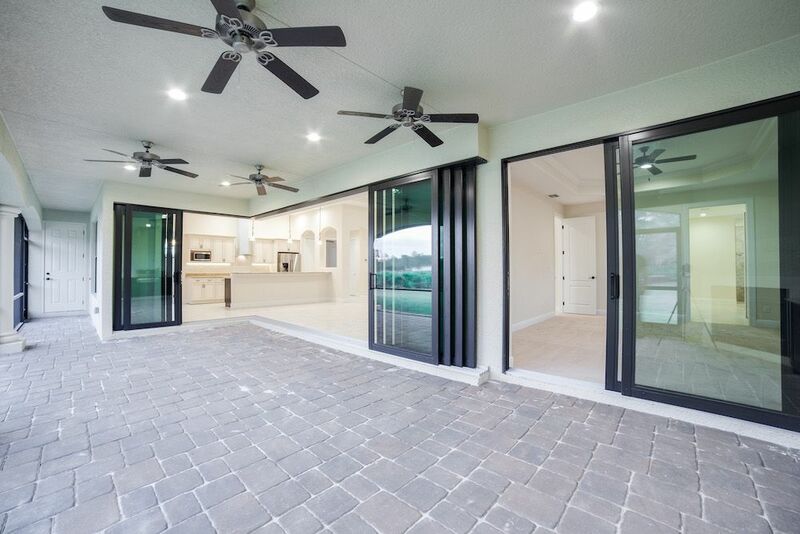 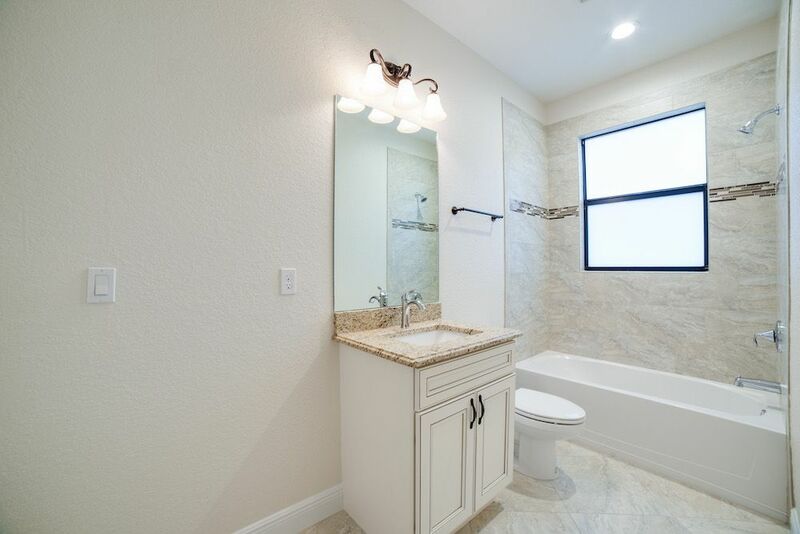 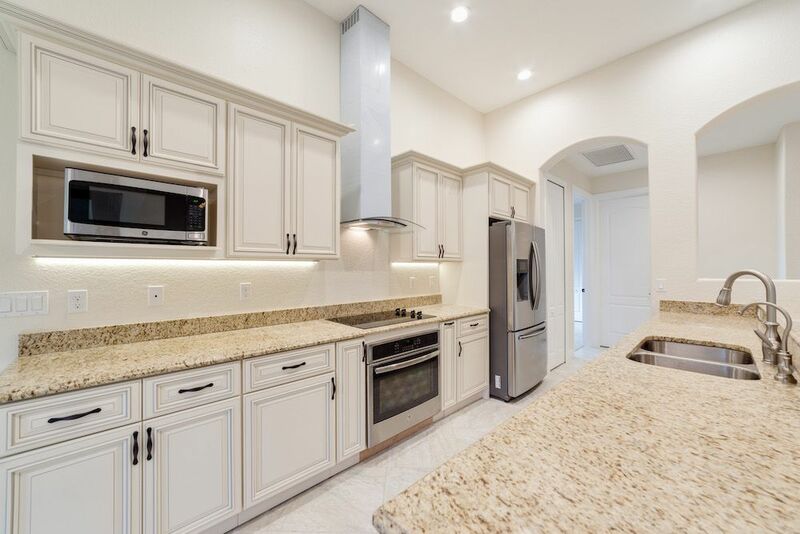 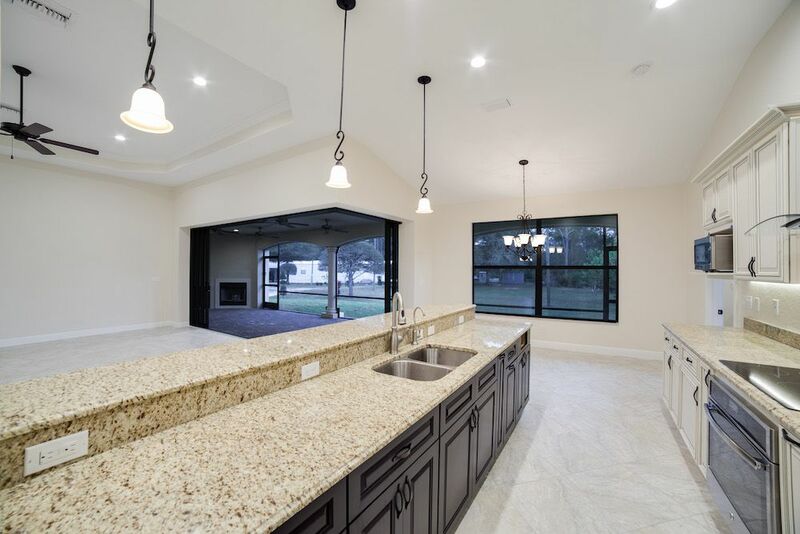 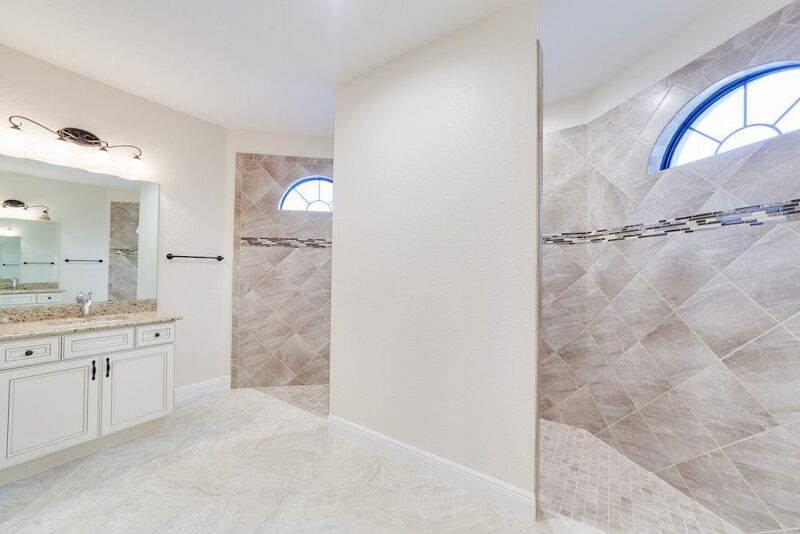 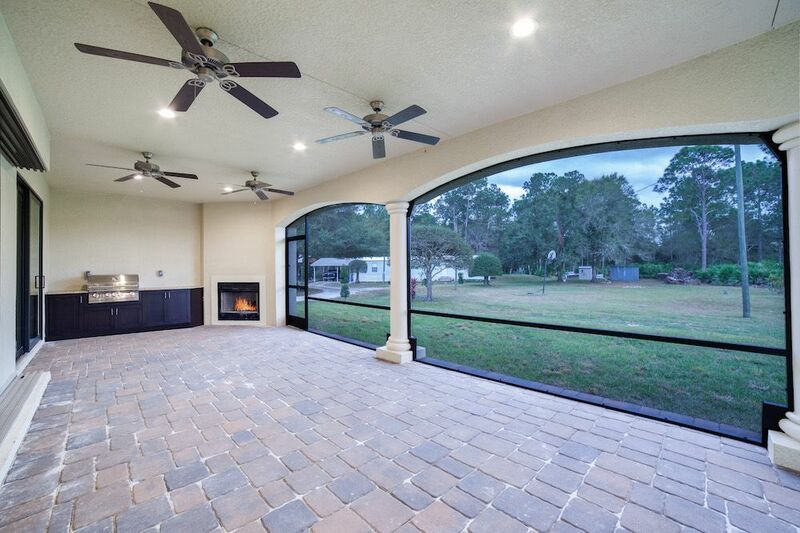 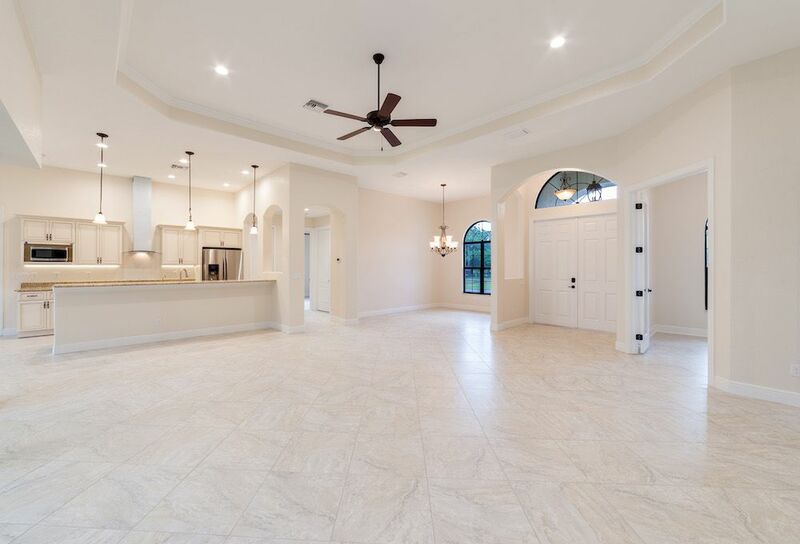 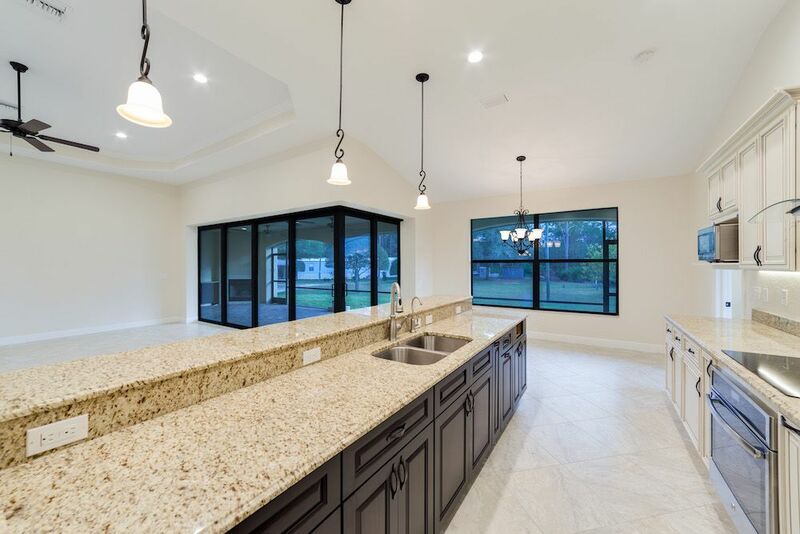 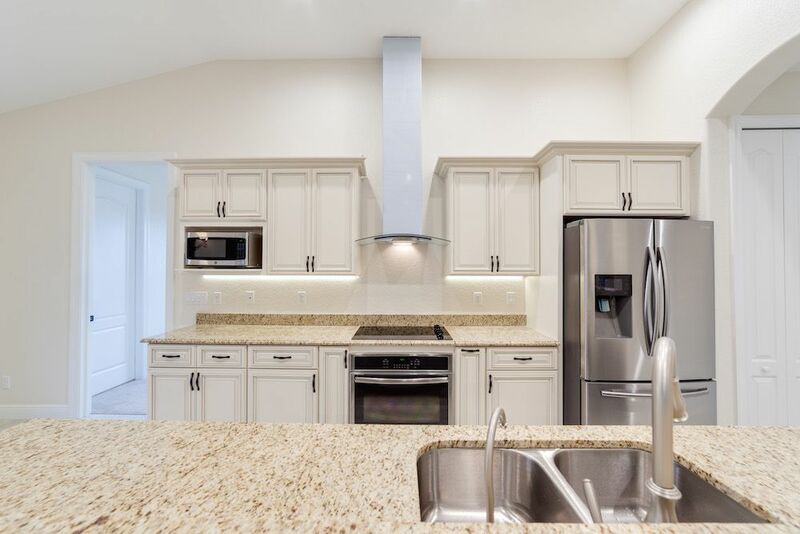 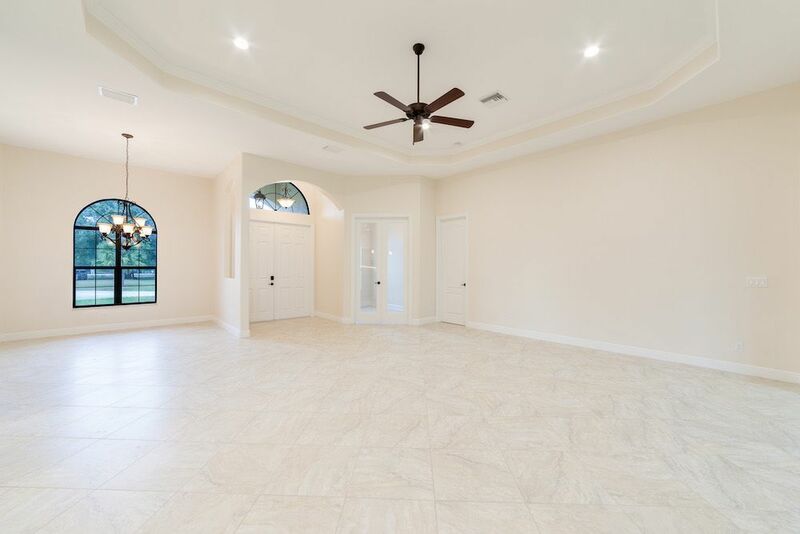 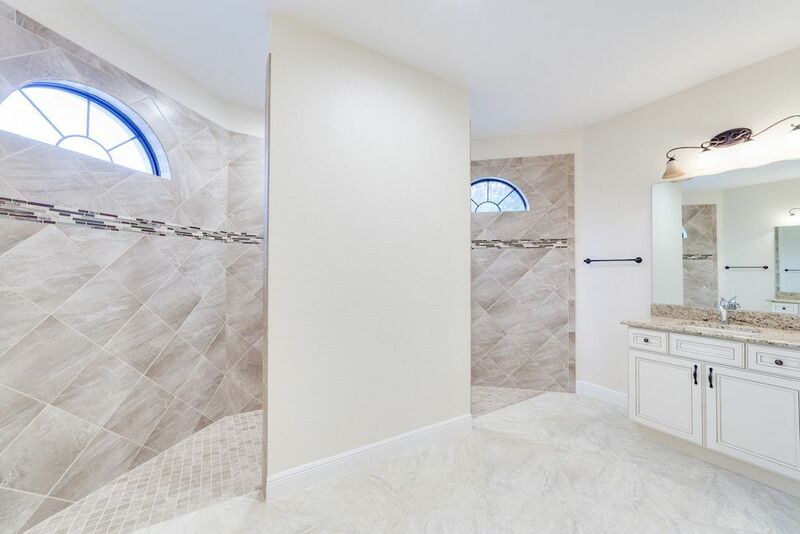 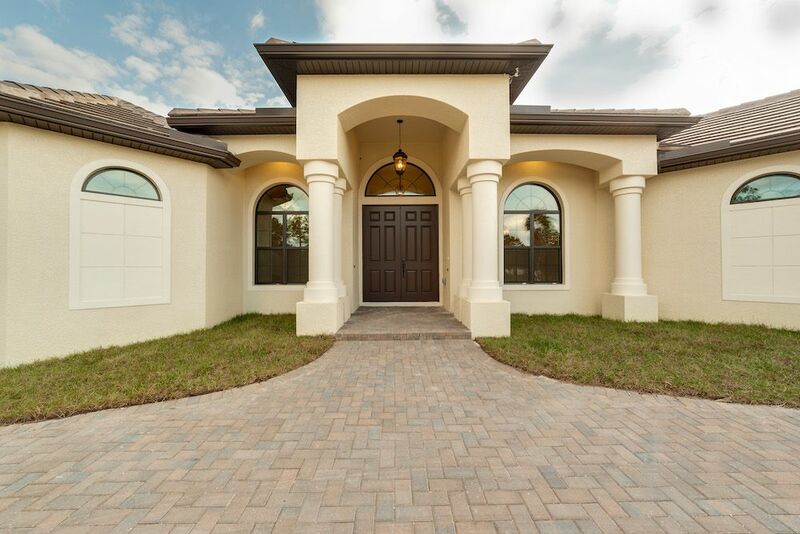 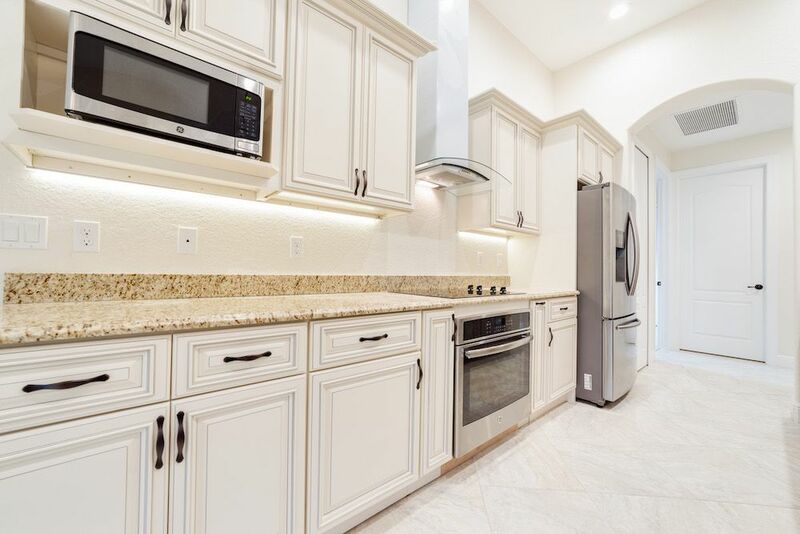 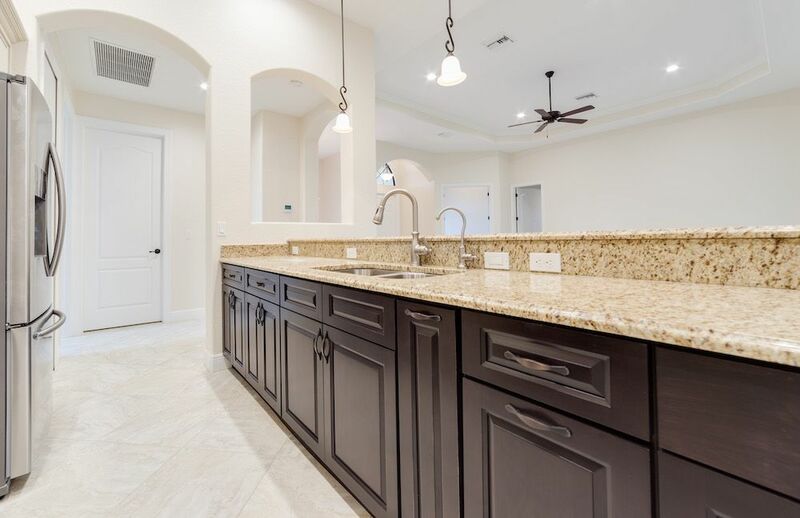 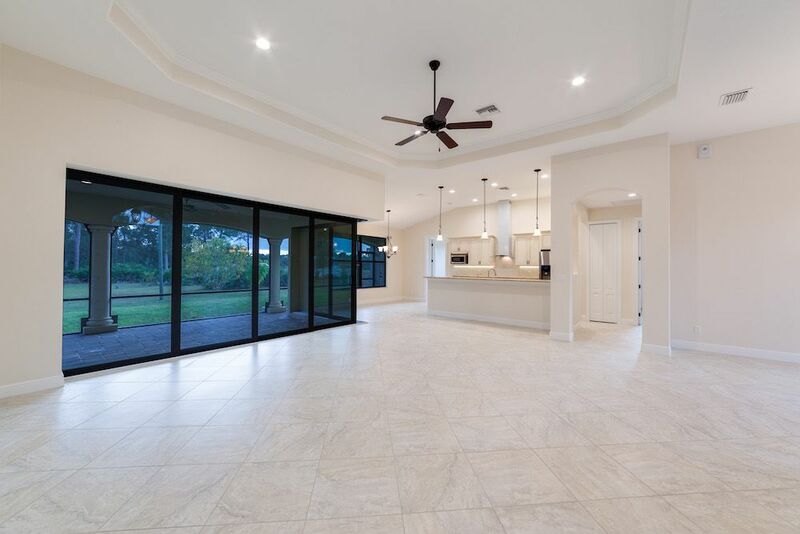 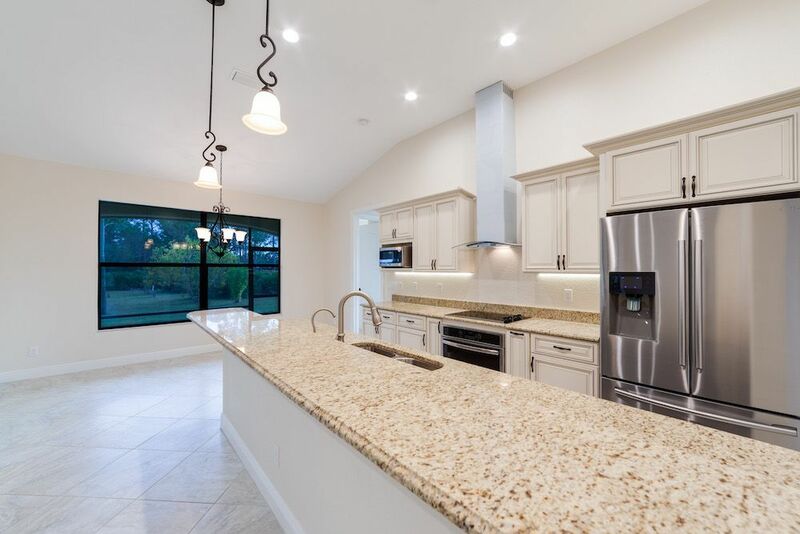 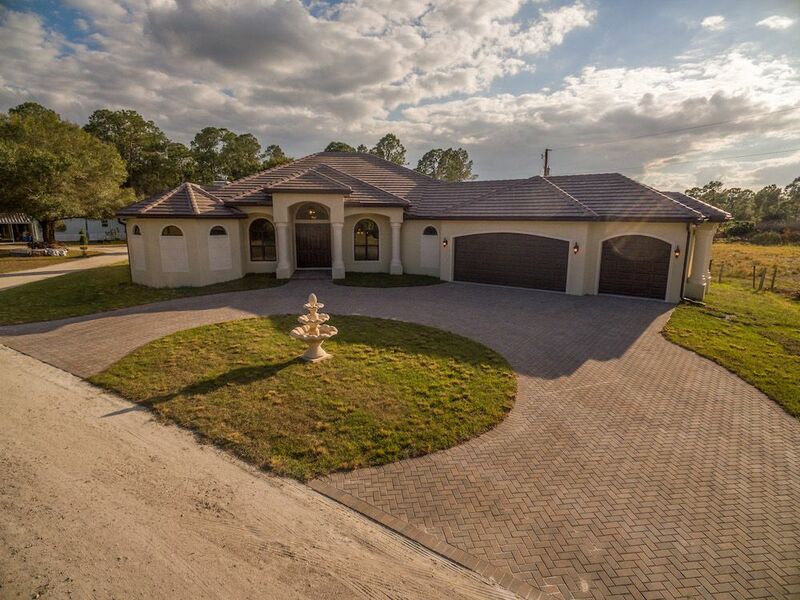 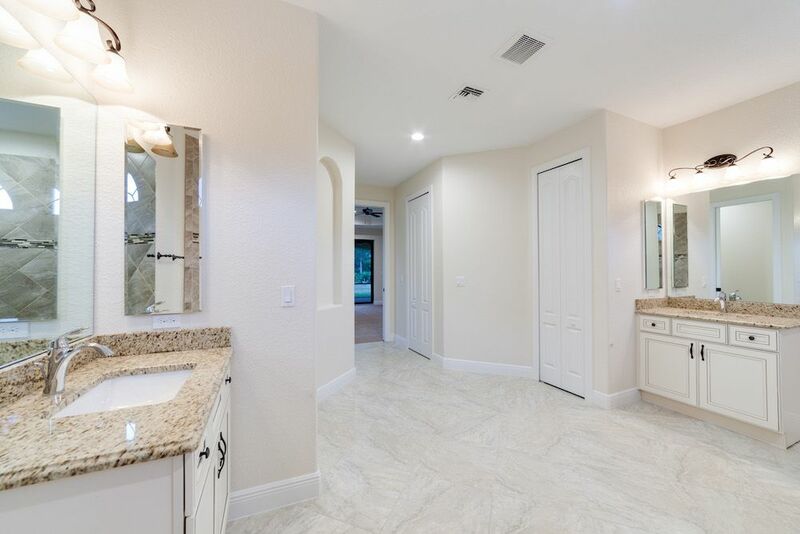 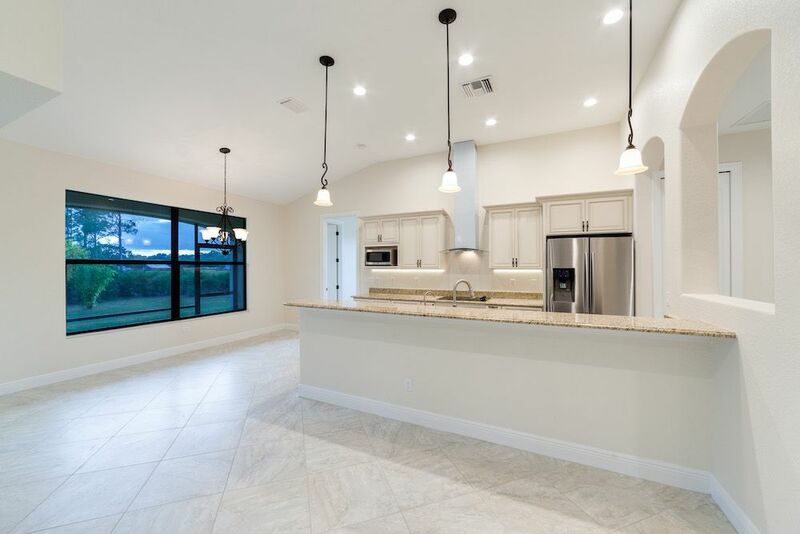 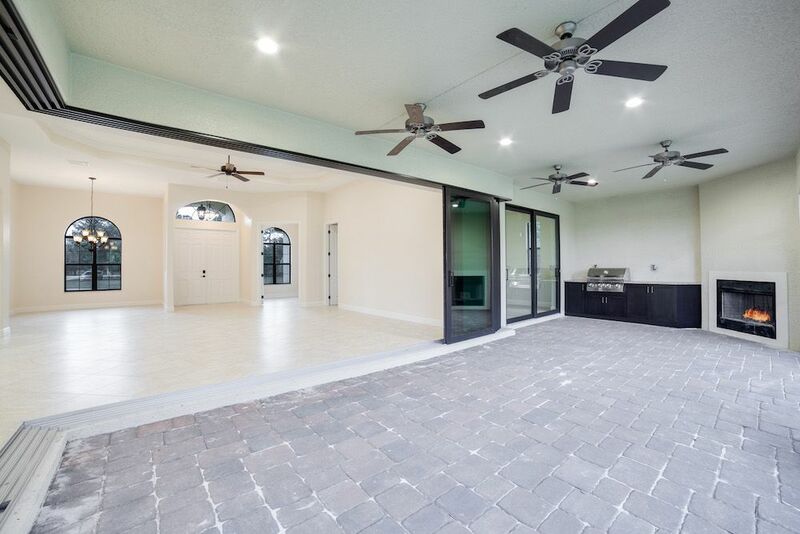 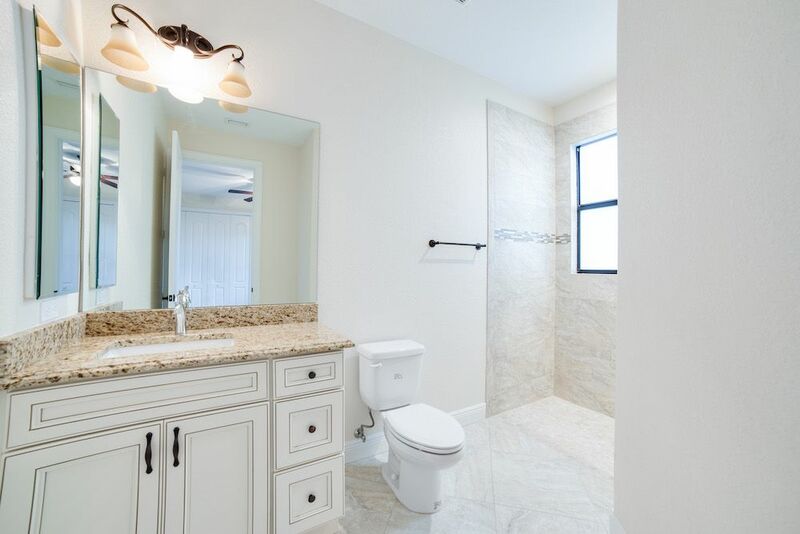 Notable features: Tile roof, impact glass windows, porcelain tile flooring, custom cabinetry, hand selected granite tops, age in place, built on acreage, paver driveway, and an outdoor kitchen with fireplace.